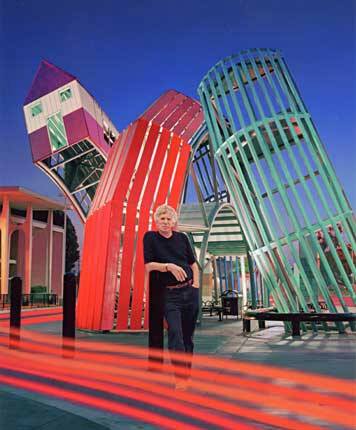 Dennis Oppenheim created the newest addition to the City of Ventura Public Art Program. Called Bus-Home, the large functional sculpture graces the Bus Transfer Center at Ventura’s Pacific View Mall. Dennis Oppenheim’s documentation took place in 2002. The FOTM Archive contains extensive information about this artist.